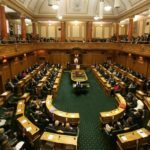 Today’s legal challenge to the secrecy surrounding the Government’s negotiations in the Trans Pacific Partnership Agreement (TPPA) is important for safeguarding the interests of New Zealanders, says Angela Belich, Deputy Executive Director of the Association of Salaried Medical Specialists (ASMS). The ASMS is one of several applicants to the High Court, asking for a judicial review of Trade Minister Tim Groser’s blanket refusal to release any of the categories of information sought by University of Auckland Professor Jane Kelsey under an Official Information Act request. 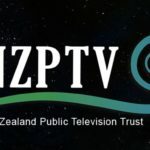 The other applicants include Consumer NZ, Greenpeace, Oxfam, New Zealand Nurses Organisation, the Tertiary Education Union and Ngati Kahungunu. The case is being heard in the High Court at Wellington today. 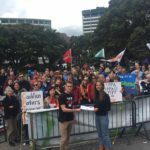 “Senior doctors and dentists working in public hospitals around the country have overwhelmingly expressed concern about the TPPA,” says Angela Belich. “They’re worried the deal will push up the price of medicines and will affect New Zealand’s ability to make decisions that are in the best interests of health care.